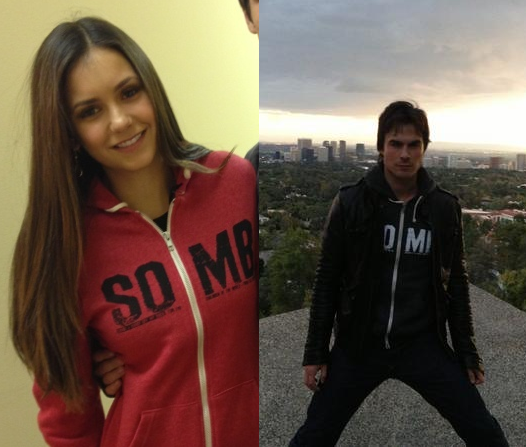 Matching Somb Hoodies. 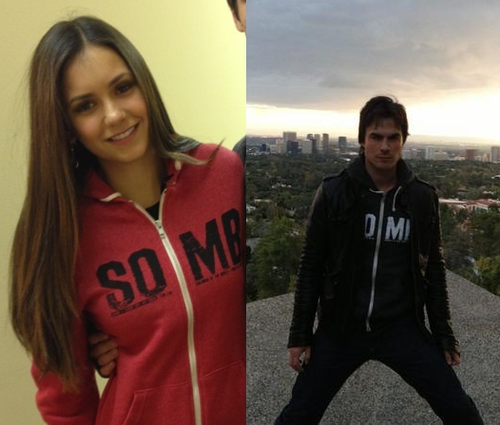 Matching Somb Hoodies. Wallpaper and background images in the Ian Somerhalder e Nina Dobrev club tagged: ian somerhalder nina dobrev nian somb. This Ian Somerhalder e Nina Dobrev photo might contain usura del tempo libero, abbigliamento sportivo, berretto, tappo, tuta da ginnastica, tuta, sudorazione, tuta allenamento, sudore tuta, and felpe. BTW have I mentioned that I cannot wait to see Time Framed? It looks like it is going to be bada$$!